Really an outstanding recipe. I like to add some white fish, like North Atlantic cod fish, for some protein. Very high quality! What’s the best tomatoes to use for this recipe? I use a good quality tin of either chopped or whole plum tomatoes. This is now my favourite quick recipe for when I don’t have much time to prepare for dinner. Such a quick and easy dish to make and ultimately satisfying. It really is a beautiful recipe.I like to add just a bit of lemon zest. Nothing beats a good puttanesca with a glass of wine. 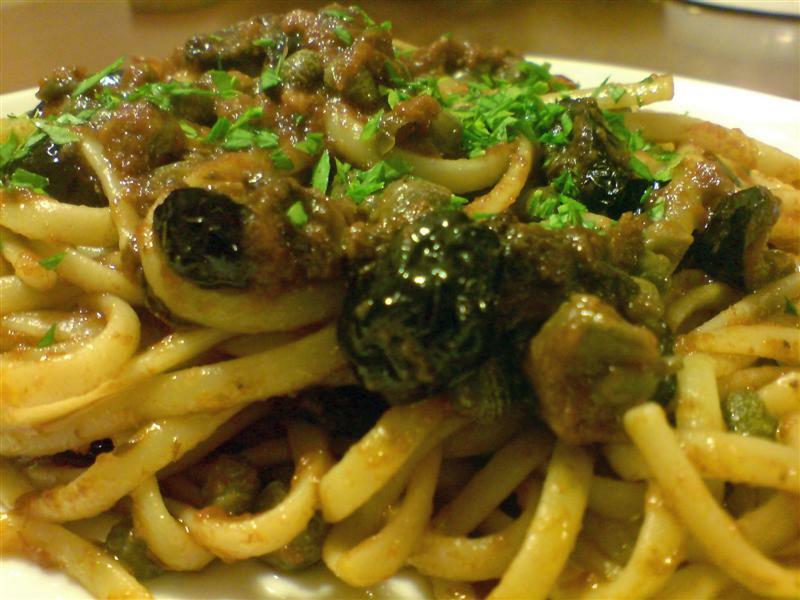 Love this recipe, my Italian pasta-addict man loves it too. It really does taste authentic, and works well with both fresh tomatoes and canned tomatoes. I’ve made it three times so far, once with standard fresh tomatoes, once with fresh cherry tomatoes, and once with canned tomatoes, and each time it came out a treat. Definitely a new quick and easy favourite in our household! History will tell you that the way to a mans heart is through his stomach. Sauté onions and watch the crowd appear. It works! When you suggest chilli, it sounds like you are referring to chili powder when it should be red pepper flakes. 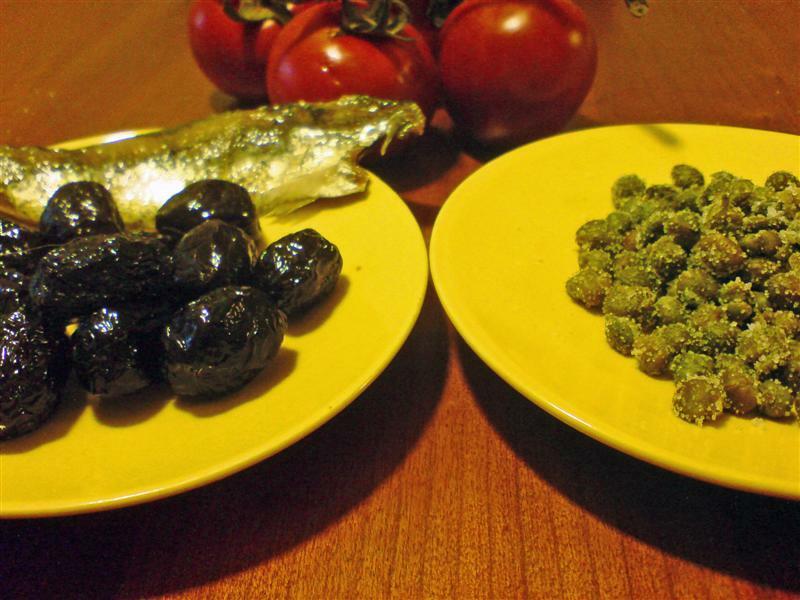 And what really makes puttanesca is Kalamata olives and anchovy flavored by the red peppers and garlic flavored olive oil. Where are the tomatoes in your picture? 1 chilli (fresh, dried or a good pinch of chilli flakes) , Is that confusing? By the way, Kalamata olives are from Greece, not Italy. I’m sure they would be nice, but the original recipe recommends the Italian variety Gaeta. Re the tomatoes: I believe she was referring to the picture of the finished dish… I was wondering the same.